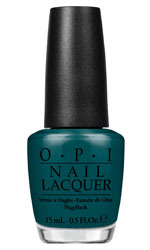 OPI has a selection of emerald hued nail lacquers, a deep jungle green, Amazon Amazoff, to best selling Peace and Love and OPI, an egg plant duo chromed nail polish. And why should you? you are mesmerizing in this iridescent, edge of dawn grey. A land of blooms must be grounded in green. Infinite Shine formula. This pastel mint green makes me dance with joy, rich in colour with the long lasting wear of a gel manicure. Enliven your environment by wearing this creamy sea green.. This pastel mint green nail polish is cool and fresh.